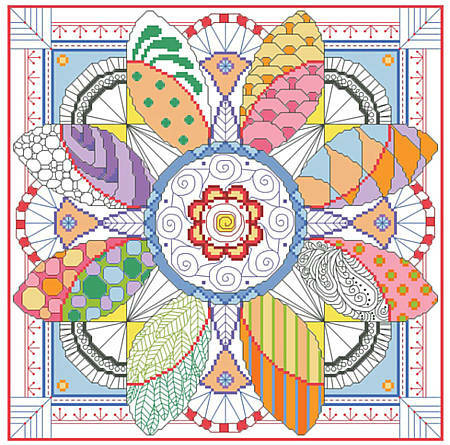 Why should coloring book fans have all the fun? Slip into serenity through your stitches with this vibrant and contemporary geometric piece. 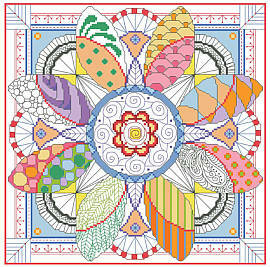 Varying from the traditional cross stitch designs and calligraphy, explore the wonderful world of color and shapes. This piece is sure to bring lots of color and excitement for your wall. Collect all six!